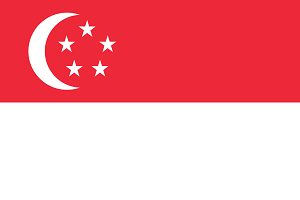 Welcome to my personal website that contains my works that are related to School of Computing (SoC), National University of Singapore (NUS). 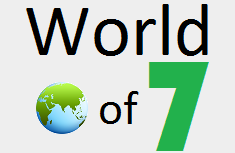 This website is titled 'World of Seven (7)' because . 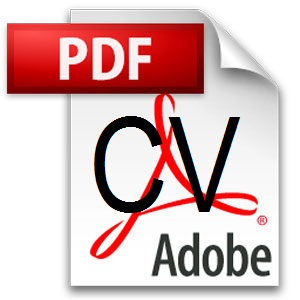 Advanced Algorithm Courses: CS3230 — currently inactive, CS4234. Apparently my students like to be tortured with heavy and tedious modules of mine. I am currently placed on NUS SoC Faculty Teaching Excellence Award (FTEA) honour roll, i.e. "banned from competing" until AY2020/21. I have received NUS Annual Teaching Excellence Award (ATEA) twice, for AY2014/15 and for AY2017/18 (soon). Recently, I was conferred the Commendation Medal (Pingat Kepujian) (Ministry of Education) by the President of the Republic of Singapore on the occasion of the National Day Awards 2018. I am a Resident Fellow in Block E (Eekers) of Sheares Hall, NUS. Outside office, I also served as a deacon at Gereja Presbyterian Bukit Batok (GPBB) (the Indonesian congregation of Bukit Batok Presbyterian Church) in 2016-2018. 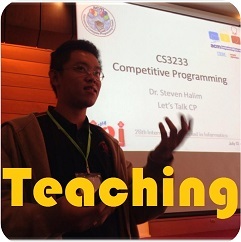 I coordinate a self-titled "Center of Competitive Programming in South East Asia". 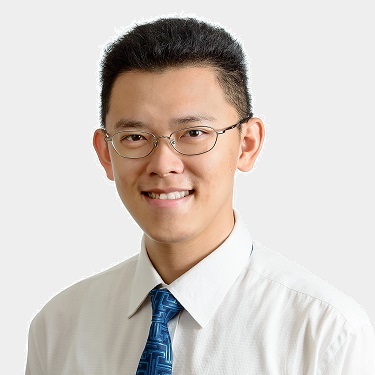 My various roles are the head coach of NUS ICPC teams (2008-2014; 2017), the team leader for Singapore IOI teams (2009-present; minus 2014), the Regional Contest Director for ICPC Asia Singapore 2015, 2018, and the future Deputy Chairman for the 32nd IOI 2020, Singapore. NUS ICPC teams have a few recent success in ICPC Asia Regional Contests (e.g. Champion in ICPC Jakarta 2013, 2014, 2015, and 2017; Champion in ICPC Manila 2017; Champion in ICPC Nakhon Pathom 2018 and Yangon 2018) and in ICPC World Finals (e.g. Joint-19 out of 122 teams in ICPC World Finals 2014 at Ekaterinburg, Russia, Joint-28 out of 128 teams in ICPC World Finals 2015 at Marrakech, Morocco, the recent current best of Joint-14 out of 128 teams in ICPC World Finals 2016 at Phuket, Thailand, and Joint-20 out of 133 teams in ICPC World Finals 2017 at Rapid City, USA). The visualization below shows the results of NUS best teams since 2009-present in ICPC Asia Regional Contests and in the ICPC World Finals of the following year. To help myself in monitoring the current team members of NUS ICPC teams. I put a table that show their past performances in IOI, ICPC, and/or my CS3233 course (if taken), NTSC 2016 (if any), NTSC 2017 (if any) performance, and combined with their recent CodeForces and Kattis online judges performance below. 10% Kattis (log(KattisPoints+1) / log(1400) * 2400, i.e. obtaining ~1400 points in Kattis (top 50 currently) is considered as having rating 2400 in CF). 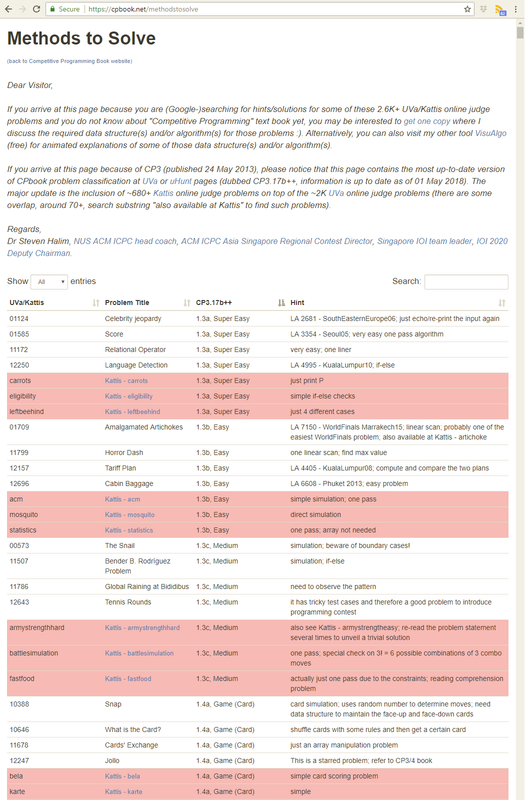 Recent NUS ICPC Selection Contest Result (30%), 2016 data (5%), 2017 data (10%), and 2018 (ACM Asia Singapore 2018 Preliminary Contest) data (15%). 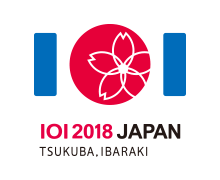 Singapore IOI teams also train in the same "Center of Competitive Programming in South East Asia", together with various IOI medalists and ICPC team members in NUS. With such synergy between ICPC and IOI activities in NUS, all 4 members of recent Singapore IOI teams usually bring home 4 medals. The best recent achievement (in Steven's era) is 2G (Feng Jiahai and Ranald Lam Yun Shao) and 1S (Mark Theng Kwang Hui) in 2014. The most recent result is 1G (Gabriel Goh Kheng Lin), 2S (Jacob Teo Por Loong and Jeffrey Lee Chun Hean) and 1B (Teow Hua Jun) in 2018. The visualization below shows the recent progress of Singapore IOI teams based on the sum of medal quality Q = 3*Gold + 2*Silver + 1*Bronze of SG IOI teams since 1992-present (Steven took over starting 2009). If you are interested, you can read this article to see the whereabouts of these Singapore IOI medalists today (accurrate as of year 2015 team). 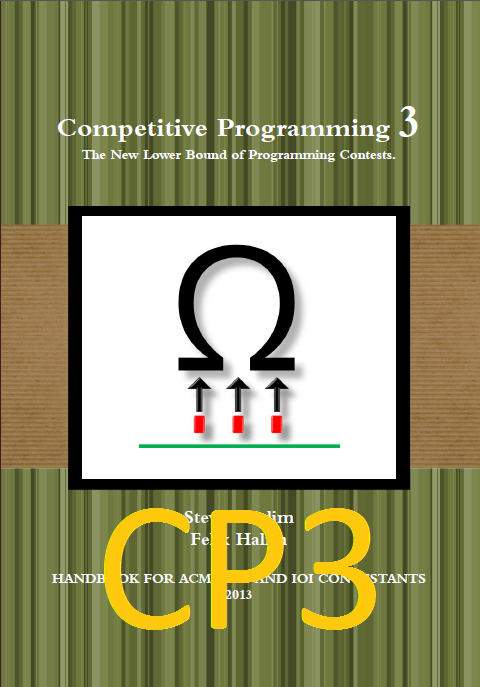 With my brother (Felix Halim), we wrote down our programming contest expertise into a relatively popular book about Competitive Programming (the most up-to-date edition as of Jun 2014 is currently CP3). You can buy the book via lulu.com or via myself directly if you reside in Singapore. I use Mooshak Online Judge and Kattis for various programming contest activities in SoC NUS. I also incorporated the spirit of 'competitive programming' (but in a weaker sense) for my other algorithm/programming modules. Programming competitions have enabled me to visit many places of the world in yearly basis. I am very grateful to God for this opportunity. I significantly use various visualization and animation techniques that I have learned during PhD days for my current pedagogy research project: VisuAlgo. 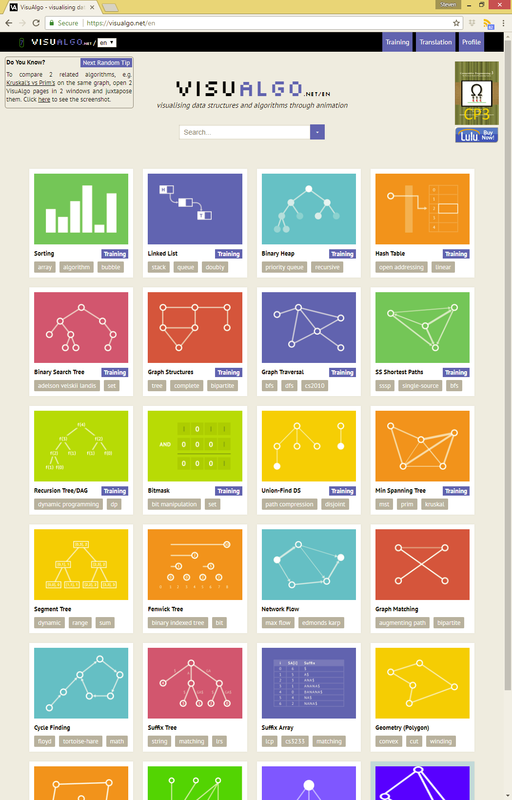 In this large-scale web-based project which is still actively developed, myself and a number of my students develop visualizations (animations) for a lot of well-known data structures and algorithms typically taught in Computer Science curriculum and beyond. A snapshot of the portal page of VisuAlgo is shown below. Not just that, our team is ambitious enough to design the Online Quiz component of VisuAlgo: Automated questions generator and answers verifier to aid students when they learn these data structures and algorithms. We generate data structures and algorithms questions using well-defined grammatical rules, but we randomize the data structure content, the underlying graph, and/or the operations to be performed. This way, the questions are always "fresh". Students can enter their answer in various input methods: Traditional MCQ style, selecting one vertex/edge, selecting a subset or a sequence of vertices/edges, enter a number in input box, and draw the answer graph. Students' answers are graded instantly and students will be able to get automatic feedback on their wrong answers by verifying the correct answers directly in VisuAlgo visualization. With this pedagogy tool, I want to provide my students (and also Computer Science students worldwide) with "a copy of myself" that are available 24/7 to guide their learning process. 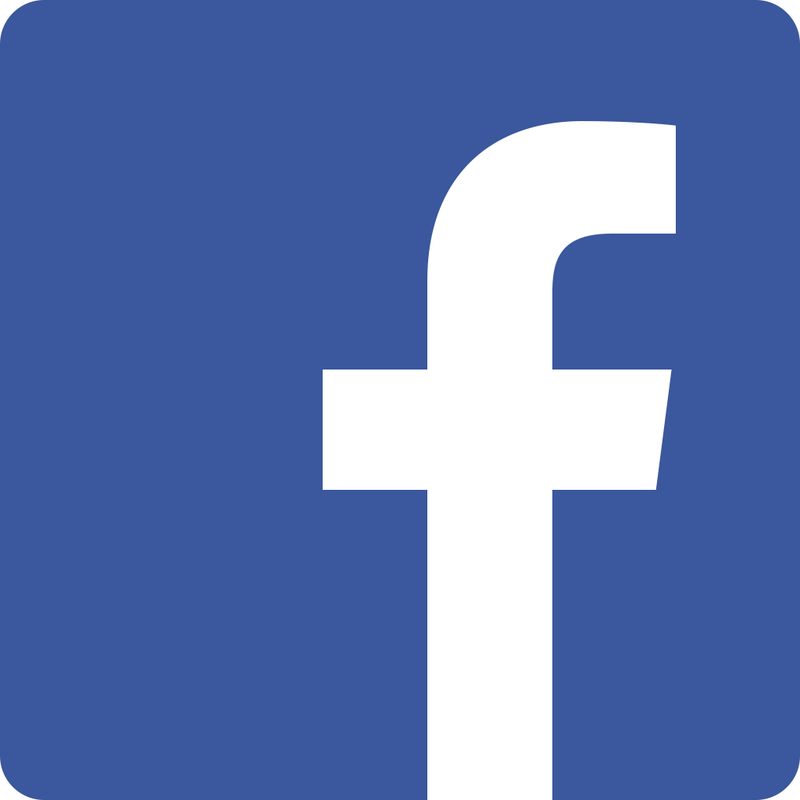 If you understand Bahasa Indonesia, you may want to read my Facebook note about https://visualgo.net/id, the VisuAlgo front page in Indonesian language. I have completed my PhD degree but now no longer active in the field that gave me my PhD. 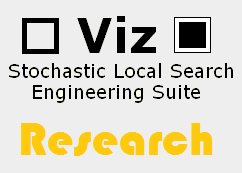 My PhD research was to investigate human-computer collaboration (in form of FLST visualization plus automated black-box tuning) to address Stochastic Local Search `Design and Tuning Problem' (SLS DTP). Between year 2003-2008, I had authored and co-authored several scientific articles on international journals and conferences around this topic. This SLS DTP is a high level problem suffered by the algorithm designer while they try to create a good performing SLS algorithms (a.k.a. metaheuristics) for attacking the underlying NP-Complete Combinatorial (Optimization) Problems. I have designed an SLS engineering suite Viz that incorporates my ideas above to help me address this SLS DTP. I have received far too many requests to write recommendation letters from past/current students for various reasons (job application, graduate school application, student exchange application, etc). Students who have worked for me for more than one semester in the past, e.g. have taken 2 of my modules, have taken 1 of my module and became part-time TA of that module, my part-time TA for more than 1 semester, or my FYP/UROP students. Those students have good working relationship with me, e.g. at least A- in FYP/UROP/my modules, scored ≥ 4.1 in teaching feedback rating for part-time TAs. 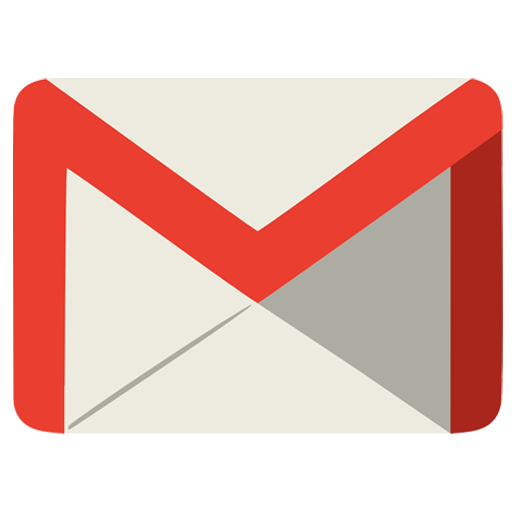 Maximum 3 recommendation letters per eligible student, e.g. you cannot spam various schools for graduate study, you cannot ask me to be interviewed by dozen of prospective companies. I am sorry in advance that I will simply reject the requests from all other students starting from Tuesday, 17 November 2015 onwards. It worth hundreds of working hours (since July 2000) to create this website as it is now. Thus, do not copy anything from this website, modify it, and then re-publish it again without telling me. You need ask permission first! I use materials and services that are either free or I have obtained permission such as School of Computing web hosting, server, free pictures, etc. However, if you find anything that is 'illegal' in my website, please inform me. I will remove them as soon as possible from my website. This document, index.html, has been accessed 173066 times since 17-Jun-14 01:18:18 SGT. This is the 47th time it has been accessed today. A total of 92112 different hosts have accessed this document in the last 1770 days; your host, ec2-184-73-14-222.compute-1.amazonaws.com, has accessed it 1 times.